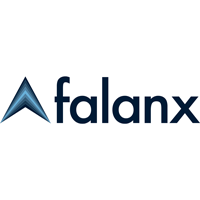 Falanx Group Ltd (LON: FLX), the global cybersecurity and intelligence provider, has announced today its interim results for the six months ended 30 September 2018. “The ever-growing threats which Cyber-attacks pose are becoming more prevalent, providing an increasing opportunity for Falanx. We have worked very hard to strengthen the management team and improve our routes to market – the result of this is bearing fruit. We are extremely excited by the opportunity which our SolarWinds partnership creates and, though this has led to an increased investment in resource, we are highly confident the opportunity for Falanx is significant. Falanx Group Limited has made good progress in the six-month period to 30 September 2018. Its chosen markets of Cyber Security and Strategic Intelligence are both underpinned by strong macroeconomic drivers fueling growth. Falanx has been structuring itself to address this growth opportunity and to create a growing and predictable stream of high margin revenues. This is being done by aligning both sales-forces on subscription and repeat business; we have gained traction in these over the period. We have expanded our customer base through organic growth and acquisitions, our Cyber Security division, which has a successful indirect sales model of addressing customers through Managed Services Providers (“MSPs”), has now partnered with SolarWinds, a leading provider of powerful and affordable IT infrastructure management software, to address its UK and South African markets. The Company has made good progress in the six months to 30 September 2018. The focus of operations has been the integration of the acquisition of the trade and assets of First Base LLP (“First Base”), which joined the group on 23 March 2018. We now have a single professional ‘Cyber Services’ operation and common infrastructure to deliver our testing, consulting and training lines of service to customers. As a result of fully integrating the business into the Group there was some impact on staff utilisation, with a consequent impact on revenue in the period. This has since recovered and the business is performing in-line with management’s expectations. We are pleased to report First Base order levels have remained strong and are approximately 20% ahead of those in the previous year. This has resulted in a high backlog and order book which adds to our future visibility. First Base has signed 55 new name customers in the period, reflecting a significant shift since the acquisition towards winning new logo (a new customer to the Group) business, facilitating future cross-selling of all services and in particular the MidGARD monitoring service. First Base continues to experience low customer churn and has also signed multiple framework agreements to provide services to large national and international organisations. In total we have seen 77 new logos in H1 across the Cyber business including 4 new MidGARD managed service monitoring contracts. The Company acquired SecureStorm Limited (“SecureStorm”) on 16 July 2018, a Cyber Security consultancy delivering specific services into its governmental and corporate customer base. We are pleased that shortly after acquisition it secured a £0.6m renewal of an existing contract, spread over 2 years, from a high-profile UK government department. SecureStorm has been fully integrated and cost synergies are underway, as well as the generation of further cross selling opportunities including our MidGARD monitoring service. SecureStorm has added the benefit of exclusive and commercially advantageous reseller deals with ‘Best in Class’ security software vendors, deployable in a managed services environment to the Group; this represents an additional upside opportunity. SecureStorm has been recently re-accredited as a National Cyber Security Centre approved supplier, reaffirming its access to UK Government cyber requirements. Monitoring Sales have grown, and several new clients have been secured. The monthly recurring revenue stood at c£90,000 at 30 September 2018 (2017: £35,000) marking an increase year on year of 157% and a growth of £35,000 from the start of the period. We have a strong pipeline of business, including certain major opportunities, which if successful will more than double the current base. A key tenet of our acquisition strategy is to cross sell monitoring services into our acquired customers; opportunities for such cross selling are enhanced through both recently acquired customer bases. A major milestone is the achievement of the SolarWinds partnership which was secured in September 2018. We have worked closely with SolarWinds throughout 2018 to help develop a programme which will enable Falanx to reach a dramatically larger customer base than it would achieve via direct sales. Whilst this has involved significant management, technical and sales resources, we believe the potential future value of this relationship far exceeds the current size of the overall business. 3. Enterprise sized organisations are serviced on the original SIEM solution which ‘Threat Monitor’ is based upon, provided by our relationship with SolarWinds. This solution is predominantly offered as an alternative to on-premise solutions for large organisations that have their own internal security team but who wish to outsource the SOC operations and focus on value-added security activities through their own staff. For tiers 1 and 2 we offer a fully managed service which includes UK Government compliant rule sets, detection protocols, threat hunting, reporting, and response using our own tools and skills in our dedicated SOC. Enterprise clients, with their own security team, can leverage the SolarWinds enterprise solution and make use of our managed SOC services to assist with ‘load balancing’ their internal resources. An example of this is a top 20 UK Law firm which has recently built a security team around an outsourced Falanx SOC service to support them rather than developing their own internal capability. The focus of our strategic intelligence business unit is to move to a high margin recurring revenue model from sales of the subscription-based Assynt Report, complemented by specific business intelligence projects. Assynt Report recurring revenues, including revenues from our embedded analyst business, have historically been about two thirds of the business by revenue. They have grown by 10% during the period. Over the same period, we have expanded our country coverage by 10%, producing regular analysis on forty countries and issues for 44 clients, predominantly global corporates headquartered outside the UK. Business Intelligence revenues, which are project driven and can be inherently volatile, were weak in the first quarter of the year but have regained momentum in the second quarter. The Assynt business has recently become profitable based purely on recurring revenues. This focus of the restructured sales and delivery team has been to move to a web portal content publishing system as opposed to the distribution of individual files, upgrading our client interface and introducing new features and greater usability. The new portal was launched at the start of October 2018 and has been well received by customers. In October 2018 Assynt won a £0.2m+ order for the delivery of strategic intelligence services over a three-year period to a major European oil and gas company and has a growing pipeline of potential customers. Falanx continues to invest in its proprietary technologies to reduce costs, increase the capacity of our service delivery capabilities and to create potential incremental opportunities. Since the start of October 2018, we have won 14 further new logo contracts across both divisions, 11 being within Cyber. We are developing sales of SolarWinds products alongside Falanx services and have signed our first managed SOC Support Service contract. We have presented to the large community of SolarWinds MSP customers at several events over recent months, including Arizona in the USA as well as more recently, the SolarWinds EMEA Roadshows in the UK and South Africa. The SolarWinds opportunity is transformational for Falanx both in terms of customer capture and potential financial returns. Over the next few months, there will be a necessary expansion in the deployment of our resources to meet the expected increase in activity. Whilst revenues for the first half, although well ahead of the same period last year, have been slightly lower than our original internal expectations due to reasons outlined above. We have regained strong momentum in our existing business activities during the second half. With the addition of the SolarWinds opportunity, the Directors expect this growth to be maintained into the next financial year. Group revenues grew by 57% to £2.2m (2018: £1.4m). Growth came from the Cyber division which grew from £0.47m to £1.41m underpinned by further sales of monitoring contracts and therefore the growth of the recurring contract base. Revenues benefitted from the acquisition of First Base (acquired 23 March 2018) and SecureStorm (acquired 16 July 2018) which added to professional services. Post-acquisition integration took place during the period required some resources, resulting in a shortfall of circa £0.2m of delivery of professional services revenues. This has now been completed and utilisation of professional services staff has increased significantly in recent months. This trend is expected to continue. Recurring and managed services revenues were £1.29m (2017: £0.91m) and accounted for 59% of overall revenues (2017: 63%). The reduction in the overall proportion was due to a larger professional services element in Cyber. The Assynt business has focused on transitioning to a revenue model more heavily aligned to recurring revenues from the Assynt Report. Business Intelligence revenues are client project driven and arise on a less predictable basis and a shortfall in these mainly at the start of the period of circa £0.2m adversely affected revenues which were reduced by 25% to £0.71m. The profitability of the Assynt business has been based purely on recurring revenues. Our contract base of monthly recurring and managed services revenues increased in the last 6 months from £0.19m to c£0.25m due to growth in monitoring contract wins and the acquisition of SecureStorm and its managed services contracts. Gross margin improved to 36% (2017: 27%). Better utilisation and much higher monitoring revenues increased gross margins in Cyber to 42% (2017: 4%); the slippage in BI revenues in Assynt reduced its utilisation and its gross margins fell to 25% (2017: 36%). Administrative expenses excluding depreciation and amortisation and non-underlying items increased from £1.23m to £1.50m. This was largely due to £0.35m increase in costs arising from acquired businesses which was offset by a reduction of c£0.1m in group costs. Depreciation and amortisation increased to £0.18m (2017: £0.12m) due to the commencement of amortisation of intangibles arising on the acquisition of the trade and assets of First Base over a ten-year period. Non-underlying items of £0.08m comprised acquisition fees and some restructuring around acquisition integration. Average headcount following the impact of acquisitions increased from 48 to 62. Due to the slippage in BI consulting revenues in Assynt referenced above, EBITDA in that division fell from £0.18m to approximately breakeven. The Cyber division, due to a larger revenue base, reported a much-improved performance with losses reduced from £0.55m to £0.12m. Underlying EBITDA loss for the period was £0.71m (2017: £0.85m) after adjusting for the items highlighted above. The overall loss was £0.97m (2017: £1.01m). Loss per share was 0.37 pence (2017: 0.67pence). Intangible assets increased from £1.14m to £4.8m. £3.3 m of this arose from the acquisitions of First Base and SecureStorm and the remainder was mainly due to ongoing development of our own technology and corporate infrastructure. Trade and other receivables increased to £1.18m (2017: £0.58m) resulting from advance invoicing in Assynt and the acquired businesses (First Base and SecureStorm) in addition to increased prepayment of key operating costs. Current liabilities (excluding deferred income) were £1.15m (2017: £0.98m). Deferred income was £1.09m (2017: £0.34m). The increase of 220% was due to the acquisition of First Base in March 2018 and a higher level of advance invoicing in Assynt. At the year-end shareholders’ funds stood at £3.9m (2017: £1.9m) and there were 261,901,186 shares in issue (2017: 157,290,075). There was a favourable movement in working capital over the period arising from advance payments by customers in both divisions. This reduced operational cash outflow to £0.53m (2017: £1.01m) representing 67% of EBITDA (2017: 114%), an improvement by the business. A further £0.27m (2017: £0.38m) was spent on investing activities with a greater proportion on development of our own technologies.